You know what I hate about so-called liberals like Thomas Friedman of the New York Times is there speed in sacrificing common decency for expediency. In his recent column, Mr. Friedmans enthusiastically ignores the coup and the imprisonment of people rich and poor by Crown Prince Muhammad bin Salman and gushes that this Saudi Prince is bringing the ” Arab Spring” to Saudi Arabia. What a total misnomer. The so-called ” Arab Spring” was an Arab nightmare. Hundreds of thousands killed, millions displaced, and what is there to show for it? And it is possible that the same explosive results could occur in this scenario. What amazes me is that Mr. Friedman can read between the imprisonments, the destruction of Yemen, and the open desire to bring fire to the greater Middle East by this prince, and see a man who is bringing ” Spring” to Saudi Arabia. First, what I do not comprehend is how Mr. Friedman can even use the definition of ” Arab Spring” to what is happening in Saudi Arabia. The “Arab Spring” is defined by Merriam-Webster dictionary ” as a series of anti-government uprisings affecting Arab countries in North Africa and the Middle East beginging 2010.” Clearly, this is not what is happening in Saudi Arabia. Crown Prince Muhammad is the government and there is no uprising. What is actually occurring is an overthrow by the Prince of the status quo giving him the ultimate power of the Kingdom. To do this he must sideline his opponents by whatever means he thinks is the most suitable. For royalty, lock them up in the Ritz and have them pay a ransom. For the non-royalty, imprisonment in more humble settings. Mr. Friedman enthusiasm towards the unfolding events may be influenced in that the raison de etre for these imprisonments are to clean the government of corruption and to transform the Saudi economy from an oil-based economy into a diversified one. Thus, in Mr. Friedman’s eyes, the end justifies the means. Saudi Arabia is not moving towards an ” Arab Spring.” What the Crown prince of Muhammad of Saudi Arabia is doing is ” cleaning house” Saudi Style. Arrest, blackmail, and punish without due process all those who disagree with or may disagree with his approach. I am not suggesting that the modus operandi being employed is out of place. It could be that in an absolute monarchy, in a country of tribal custom with too much money, one has to lock up one’s opponents real or perceived in order to clean house. The problem here is that Mr. Freidman is all gung-ho for such action and the last time I checked, we in the United States are for due process. His other goal is to ensure that when comparing Iran to Saudi Arabia that the United States does not again consider closer relations with Iran. To ensure that the United States ( like they need encouragement) has Saudi’s back in the international arena, he uses key iconic words to create horror. When the prince calls the leader of Iran ” Hitler” He is attempting to paint the leader of Iran as a ” Hitler” claiming that appeasement will not work and inferring war is the only option. Muhammad bin Salman’s use if Hitler as a noun is odd considering that Arabs and in general the non-Western world do not view this historical horror in the same light as we do in the West. For us, Hitler is the ultimate bogeyman. A human horror who ordered genocide on a mass scale. For the Arabs, he was a ruthless leader that almost won. Ironically, his statement does seem to reek of hypocrisy. The sense that Muhammad bin Salman is using the word is to generate a comparison for Western leaders so that they can nod their head and agree and say that the Prince is not. The smart ones, of course, will see right through this weak screen and see that the statement is to lay the groundwork to justify some sort of military action against Iran. The challenge for us here is not to fall into this Saudi trap, the US may have issues with Iran but Ayatollah is not a Hitler and Iran is not a Germany circa 1930. 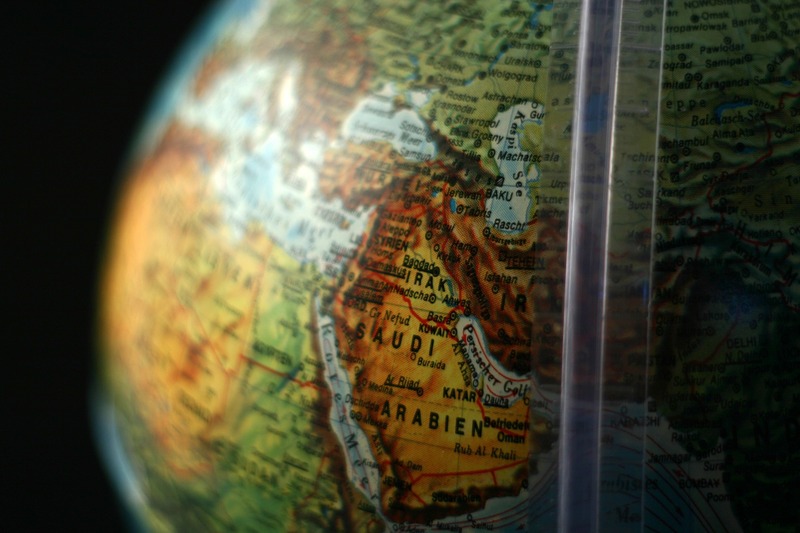 Whether American’s like it or not, it is important in evaluating its approach to assisting the stability of the Middle East not to ignore Iran. It would be useful in our formulation of policy to recognize that Iran is a lot closer to our idea of government than Saudi Arabia. The Iranian political system does have its check and balances, and tensions between the different government branches and it has a coherent and stable political system, More importantly, they have a democratic system that to a great extent does reflect the will of the people. Saudi Arabia is the flipside of this equation. It is an absolute monarchy with two sets of rules. One for the Royals and the other for the regular folks. The government brooks no opposition and there is not a scintilla of democracy in that country. Saudi Arabia is a nation in flux and Muhammad bin Salman has thrust himself to take on the role of leader even when Saudi Arabia has a King, King Salman. It is obvious that King Salman loves his son and believes strongly in his abilities to lead. Good for him. But here in the United States, we must approach this change in Saudi Arabia with caution and not listen to the likes of Thomas Friedman. Our byword should be praise of democracy and not condone actions that fly in the face of our values. Really, Mr. Freidman.